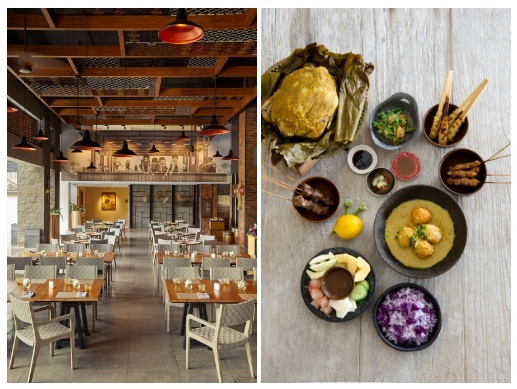 Mövenpick Resort & Spa Jimbaran Bali is inviting families to celebrate the holy month of Ramadan together this May and June, with a series of special seasonal offerings. This year, Ramadan will run from 16th May to 15th June, providing the perfect opportunity for families to enjoy quality time in each other’s company, surrounded by the fantastic tropical facilities of this idyllic international resort. Every evening throughout Ramadan, guests can break their fast together at the Movenpick Café or Anarasa Restaurant with a series of themed dining experiences created especially for the needs of Muslim guests. At the Mövenpick Cafe, the Ramadhan Tajil promotion will offer a collection of treats for guests marking Iftar. A delectable selection sweet and savoury snacks will be available from 5.00 pm to 8.00 pm on weekdays, and until 9.00 pm on weekends. Available from 15th May to 15th June, these sumptuous snacks start from IDR 20,000++ each. Meanwhile at the Anarasa Restaurant, the resort’s vibrant dining destination, a traditional Iftar Buffet will be served daily from 6.00 pm to 8.00 pm throughout Ramadan. Available for IDR 120,000++ per person, this selection of light snacks will help guests replenish their energy levels after their daily fast. Daily buffet treats include cakes, éclairs, puffs and puddings, plus an assortment of fruits and cookies, all accompanied by free-flow sweet tea. 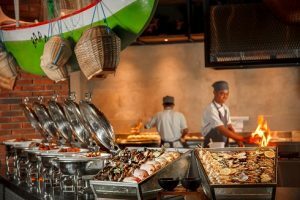 Alternatively, an Asian Dinner Buffet will be hosted every Saturday from 6.30pm to 11.00 pm. Priced at IDR 450,000++ per adult or IDR 90,000 net per child, this regional feast will feature an array of Asian favorites including a Japanese robatayaki grill, accompanied by free-flow soft drinks and traditional dance performances. Finally, Anarasa Restaurant’s Vietnamese Buffet Dinner will enable fast-breakers to sample the light, fresh flavors of Vietnam in a social setting. Held every Wednesday from 6.00 pm to 10.30pm, this themed buffet includes fresh spring rolls, pho and many other delicious delicacies. Ramadan is also the perfect time of year to show people just how much they are appreciated. A range of Eid al-Fitr Hampers will also be available from 6-17 June, making the perfect post-Ramadan gifts for friends, colleagues and loved ones. Available for IDR 600,000, these hampers are packed full of delicious goodies including cookies, pralines and artisan jams. Guests who want to enjoy an extended vacation this Ramadan can take advantage of the Stay & Save promotion at Mövenpick Resort & Spa Jimbaran Bali. With this enticing offer, guests will be offered bigger discounts the longer they stay. For example, guests booking two-night stays will be offered 15 percent off their nightly rate, but this increases to 20 percent for three nights, 25 percent for four nights and 30 percent for stays of five nights and more. Guests will also receive daily breakfast, complimentary Wi-Fi and an exclusive US$20 restaurant voucher if they book direct on the resort’s website, using the promotional code STAYNSAVE. CLICK HERE For more information.